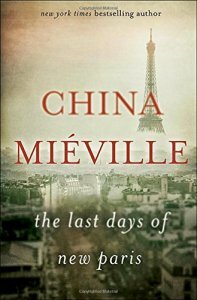 The Last Days of New Paris, China Miéville (Del Rey 978-0-345-54399-8, $25.00, 208pp, hc) August 2016. You’d think that Surrealism and genre fan­tasy would have developed a more cordial relationship during the century or so that both have been distinct forms, but that hasn’t ex­actly been the case. 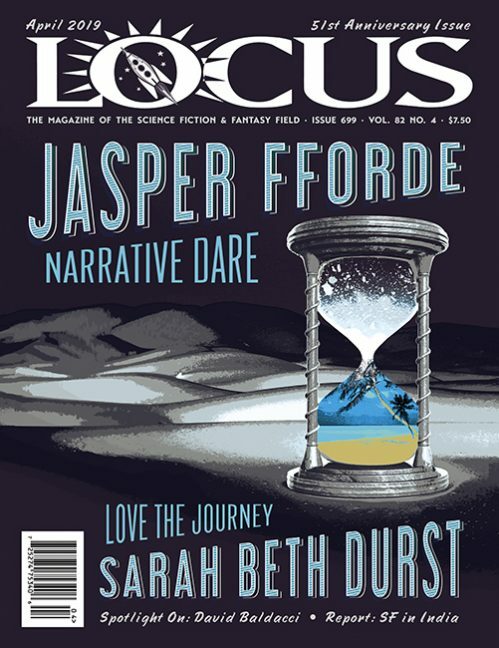 The handful of novels usually associated with the Surrealist movement – Bret­on’s Nadja, de Chirico’s Hebdomeros, Coates’s The Eater of Darkness – have barely made the radar of most fantasy readers, and a few (like the Coates) have nearly disappeared altogether. 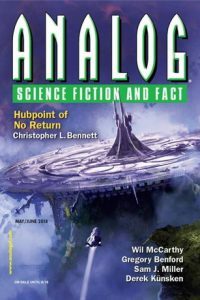 And when SF or fantasy writers have ventured into the territory of the movement itself, as with Lisa Goldstein’s underappreciated The Dream Years, the approach has largely been historical, featur­ing the artists as characters rather than trying to adapt their admittedly rather chaotic methods (although Nalo Hopkinson comes close in her surrealist YA novel The Chaos). 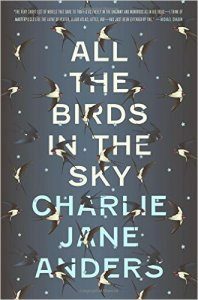 One reason may be that the dreamlike imagery doesn’t lend itself very well to things like plots, and another might be that the sort of pop Freudianism that so often accompanied that wonderful imagery seems a bit archaic and naive by more recent standards. As modern fantasy becomes more politically complex, though, there’s one aspect of Surreal­ism that seems as relevant as ever – namely its resolutely anti-bourgeois revolutionary aspect, which Goldstein did touch upon in linking the 1920s Surrealists with the Paris student upris­ings of 1968. These thoughts are occasioned by China Miéville’s new novella The Last Days of New Paris, which makes brilliant use of both the political and imagistic aspects of Surrealism – he even has creatures from Surrealist paintings and collages stomping around the Paris of 1950, while featuring a whole panoply of historical Sur­realists in an alternate timeline which switches between the Vichy France of 1941 and a 1950 in which the Nazi occupation is still going on. Miéville, whose own imagery has perhaps made more effective use of surreal effects than that of any other contemporary writer, seems fully in his element here – in an old Locus interview, he claimed that ‘‘the high point of fantasy is the Surrealists – which is a tradition I’ve read obses­sively, and am a huge fan of, and see myself as a product of the ‘pulp wing’ of the Surrealists.’’ His tale certainly fits that description – an odd but effective combination of meticulous historical research and the sort of bizarre fireworks that many readers (rather missing the point) found absent in his earlier This Census-Taker. Like that novella, The Last Days of New Paris has a revolutionary political subtext, but it’s much less of a subtext here. Then the narrative shifts back to 1941, and the events leading up to the S-Blast. Here the first figure we meet is Varian Fry, who, like nearly all the characters in this part of the narrative, is an actual historical figure, whose Emergency Rescue Committee helped thousands, largely intellectuals and artists (including some key Surrealists), escape Nazi-occupied France into Spain and Portugal. (An odd personal note here: I knew a woman who worked with Fry and who helped Walter Benjamin escape, and she once told me of Fry’s chronic guilt over his committee’s focus on cultural figures rather than ordinary citizens – a guilt which Miéville describes in almost exactly the same terms, whether from careful research or novelistic insight.) 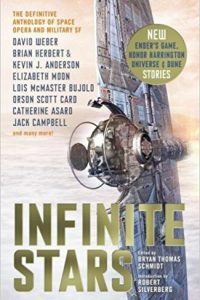 Fry is ap­proached by another figure whose real-life story sounds like something that might well have been invented by Miéville or Pynchon (who also gets a couple of nods in the novella): Jack Parsons, an American rocket engineer (he helped found JPL) who, bizarrely, was associated with both Aleister Crowley and later L. Ron Hubbard. Almost as unlikely – though just as real – was the Chicago socialite Mary Jayne Gould, living in Paris at the time of the occupation, who also joined Fry’s cause. Parsons’s involvement with the Surrealists eventually leads to the construction of a mysteri­ous box which, we are led to understand, results in the cataclysmic S-Blast which presumably leads to the radically re-ordered reality of the ‘‘new Paris.’’ Along the way, we meet a wide variety of Surrealists, some with little more than walk-on roles, but Miéville is particularly attentive to the less-celebrated women artists who were crucial to the movement, such as Car­rington, Ithell Colquhoun, Toyen, and Grace Pailthorpe. There are moments when one gets the sense that The Last Days of New Paris tries to pack in all the detailed study of Surrealism that Miéville has been saving up for years, but its vision of, as one photographer character puts it, ‘‘a city where art hunts,’’ is as vivid a portrayal of the disruptive and revolutionary nature of art as I’ve seen in quite a while.